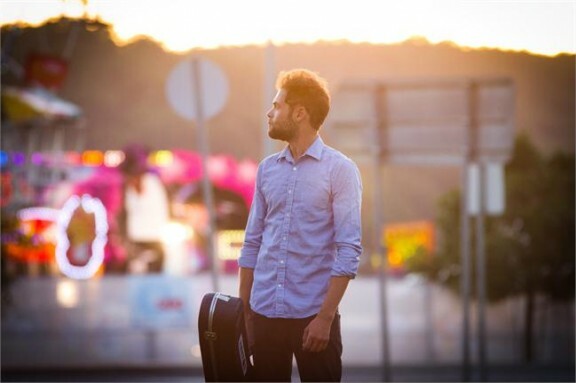 If you haven’t heard the captivating sounds of England’s Michael Rosenberg, aka Passenger, you’re in for a treat. “Let Her Go” is one of his strongest tracks, highlighting his deft knack for melodic, acoustic reveries, and poignant lyrics. The official video shows footage of the band and the roadies backstage, setting up and shutting down, and just hanging out. The live footage of Rosenberg on stage captures his charisma and natural charm, and the simple stage decorations imitate a starry night. The elegant props are symbolic of Passenger’s honest folk music, which is non-pretentious and simple. His style of story-telling through songwriting shoots straight to the heart of what we love about music – the raw and the vulnerable and the breathtakingly beautiful. Check out our album review of All The Little Lights HERE.